We have a fantastic opportunity this fall – Stas is coming to Houston. Mark you calendars. We are organizing an exciting few days with him that will include private lessons and group lesson/sessions. Teaching workshops & private lessons on Mon Nov 16. 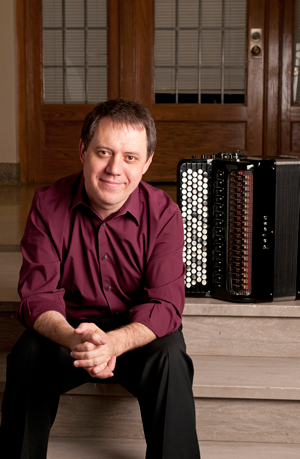 Come and enjoy Stas – attend all or just pick your Accordion Retreat days! He will be in Houston a short time on Thurs & Fri and will return the following Mon. & Tues.
**There are only 10 slots for private lessons with Stas – so the first 10 to book the entire retreat – will get these slots! Hotel – near Hobby Airport – not near IAH (BUSH)) – Four Points by Sheraton Houston Hobby Airport – 8720 Gulf Freeway · Houston, Texas, 77017 · Phone: 713-948-0800 · Hotel Reservations: 866-716-8133 – Ask for Accordion Retreat – FIRST 10 People can ask for a FREE UPGRADE TO SUITE ROOM – $99 per night – which includes FREE HOT BREAKFAST for entire room daily. These are a PLAYING Accordion Retreat – BRING YOUR ACCORDION!